The real estate sector is growing by leaps and bounds with numerous infrastructural developments taking place all over the country. Each new day witnesses countless transactions of sale, purchase or lease of residential as well as commercial properties. Residential properties include residential flats, builder floors, flats, multi-storey apartments, farmhouses, penthouses, villas and resorts, whereas commercial property comprises office spaces, shops, stores and commercial spaces. 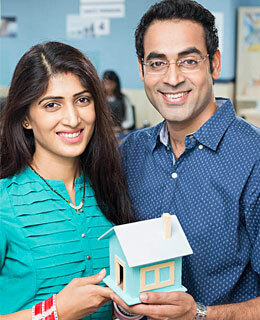 Many newspapers publish real estate advertisements to bridge the gap between buyers and sellers. Many property developers utilise classified ads for advertising their upcoming or ready-to-move-in projects to invite investors, financers, as well as end-users. Apart from these, people looking to let-out their property on rent also place real estate classified ads. These property advertisements provide various buying and selling options. All Property ad in Times of India, Dainik Jagran, & Hindustan Times, Amar Ujala Newspapers include important details such as the covered area, configuration (1/2/3 BHK), ownership kind, location, infrastructure and amenities offered. The approximate price is also mentioned which the readers can verify with the prevailing market rates. Some factors affecting the value of a residential property are connectivity, facilities available in close proximity, and distance from commercial areas. On the other hand, factors that affect the value of a commercial property are the surrounding area, commercial complex, businesses in and around the area, footfall, and customers expected to visit. In addition, the real estate section gives detailed information about property consultants, brokers and property agents. Bookmyad.com lets you book real estate ads quickly with its easy online newspaper classified ads booking system. Using our services, you can reserve space for your property ad in newspaper of your choice at economical prices. In addition, you can also book property advertisement based on the area where you need it to be displayed. Bookmyad.com allows you to book real estate advertisements online easily by referring to our ad samples. You simply need to visit our website, look for the category of your advertisement, discuss your requirement with us and make payment online using any of our payment options, which include debit card, credit card, net banking, cash, cheque deposit or demand draft. Our customer service team will make sure that you do not face any problems in the ad booking experience. You can just call us, drop in an email or reach us via live chat. So be a part of BookmyAd.com family and enjoy the new and fresh way of booking ads. The Times of India - Mumbai, Property Times-Mumbai , The Economic Times - Mumbai, Mirror - Mumbai. The Times of India, Property Times , The Economic Times, Maharashtra Times , Navbharat Times, Mirror - Mumbai. A well-written classified ad promoting a piece of real estate can attract interest from potential sellers, buyers or renters. The right language and information is important for encouraging people to visit your property. Write a headline that will grab attention. Highlight the best parts of the house or property. Include key aspects of the property. Be clear about what you want your readers to do after they read your ad. Provide a sense of urgency. For example, write "won't last long" when you advertise a good price. Print details about any open houses or scheduled visits. Invite people to visit the property by leaving the address as well as the date and time they are welcome to see it. Include contact information. This might be the selling agent's name or the property manager's information. Leave a phone number if you want people to call you or your agent. Provide photos, if you can. Pictures will enhance your ad. If you have the budget to buy extra ad space, try to include one or two photos of the exterior and interior.Include links in online ads. Link to applicable maps and directions when you are writing an online classified ad. Write a headline that will grab attention. Highlight the best parts of the house or property. Include key aspects of the property. Be clear about what you want your readers to do after they read your ad. Provide a sense of urgency. For example, write "won't last long" when you advertise a good price. Print details about any open houses or scheduled visits. Invite people to visit the property by leaving the address as well as the date and time they are welcome to see it. Include contact information. This might be the selling agent's name or the property manager's information. Leave a phone number if you want people to call you or your agent. Provide photos, if you can. Pictures will enhance your ad. If you have the budget to buy extra ad space, try to include one or two photos of the exterior and interior. Include links in online ads. Link to applicable maps and directions when you are writing an online classified ad.